kanta Bawri is from a rural village called Guwalatup (Golaghat). He is the second child of his parents. He was looking up for the opportunities that could bring some financial help to his family. He is graduated in arts. His father works as a Tea Garden worker. Kanta Bawari wanted to continue his higher studies but due to the financial problems he couldn’t. Somewhere he heard about the free training programme provided by Don Bosco Tech. He didn’t t wasted his time and came to our Don Bosco Tech centre and enquired about the courses. Then he registered his name in the Electrical domain. During the two months of training he was very sincere and honest. 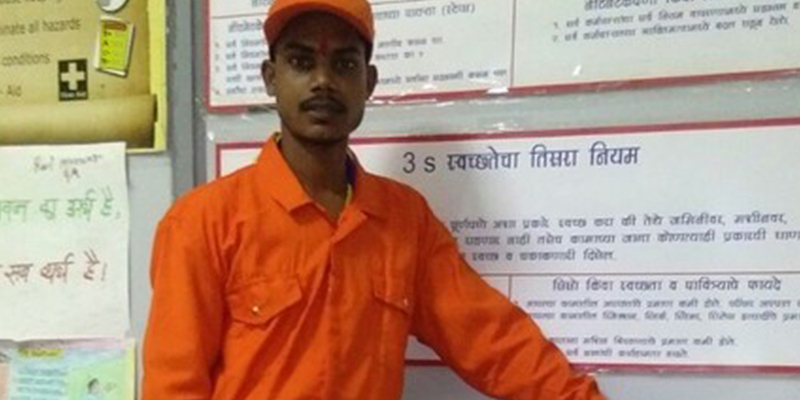 After completing the training he was placed in Ronch Polymer Pvt Ltd at Pune as an Electrician helper and earning Rs.8500 Per month. He says, I am very happy to work and support my family Financially. It is only because of Don Bosco Tech.